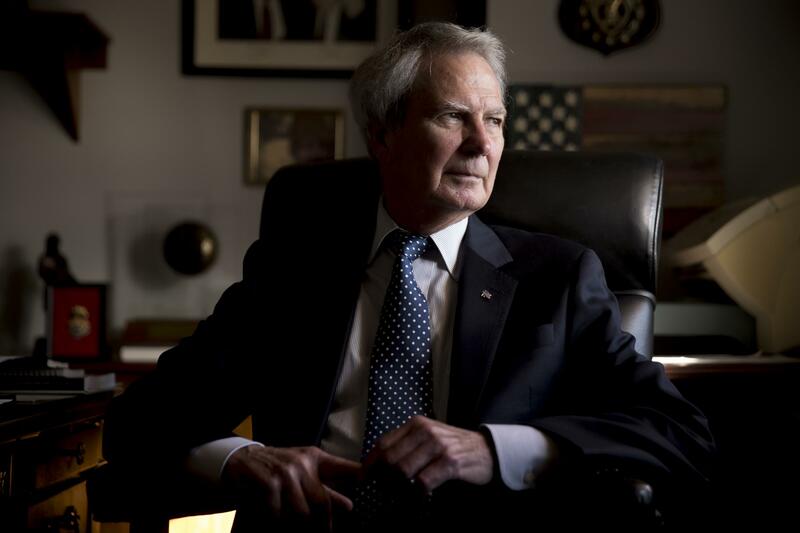 Rep. Walter Jones, R-N.C. poses for a portrait in his office on Capitol Hill, Wednesday, Oct. 25, 2017, in Washington. As President Trump argued about what he said to the family of a soldier killed in Niger, a North Carolina congressman was quietly doing what he's done more than 11,000 times: signing a condolence letter to that family and others. Republican Rep. Walter Jones began signing the letters to families in 2003 as penance for his 2002 vote supporting war in Iraq. A Republican congressman who has represented North Carolina for over two decades has entered hospice care. A news release issued Saturday on the official government page for U.S. Rep. Walter Jones Jr. says that his health has declined since he recently broke his hip and that he's in hospice care.